Yes, you can make a tasty vegan snack without a lot of effort. These vegan peanut butter squares are chilled rather than baked. 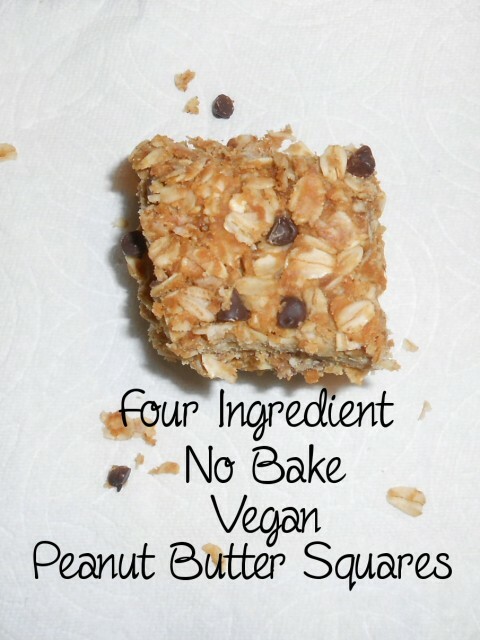 They only have four ingredients, they are easy to make, and they are delicious. I’ve been seeing a lot of recipes on Pinterest with minimal ingredients. 5 ingredient cookies, 4 ingredient cake in a mug, and lots of refrigerator bars. All calling my name. I’ve been dying to try something! 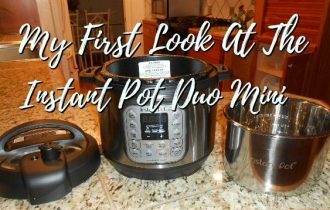 I reviewed several recipes, then created my own to fit what was on hand in my pantry. They are vegan, dairy free, egg free, and honey free (if you avoid honey as a vegan). 1. 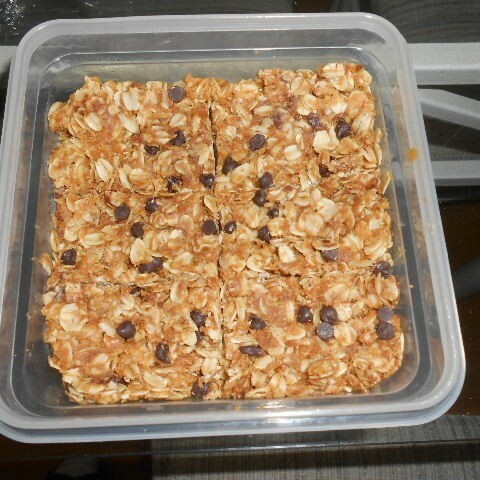 Use an 8×8 baking dish. Grease the baking with a tiny amount of cooking oil–or line with parchment paper. 2. Pour the agave into a microwave safe bowl. 3. 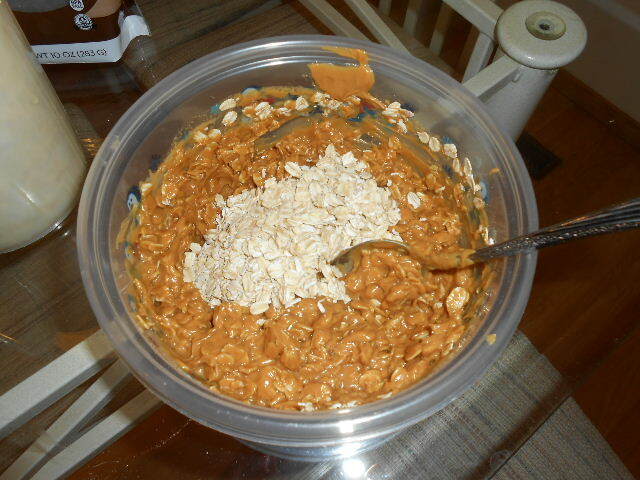 Pour the peanut butter into the same bowl with the agave and mix. 4. 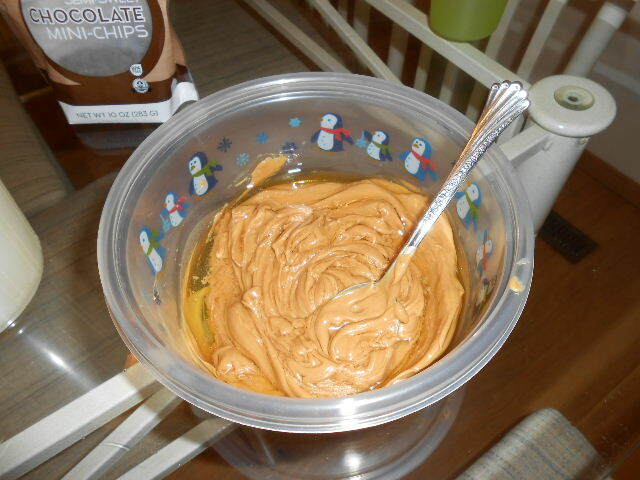 Put the mixture the microwave for 30 seconds, then stir. Put in for another 30 seconds, then stir again. It should be smooth and melted. For low wattage microwaves, you may need another 30 seconds. 5. Pour in the oats a little at a time stirring in between. 6. 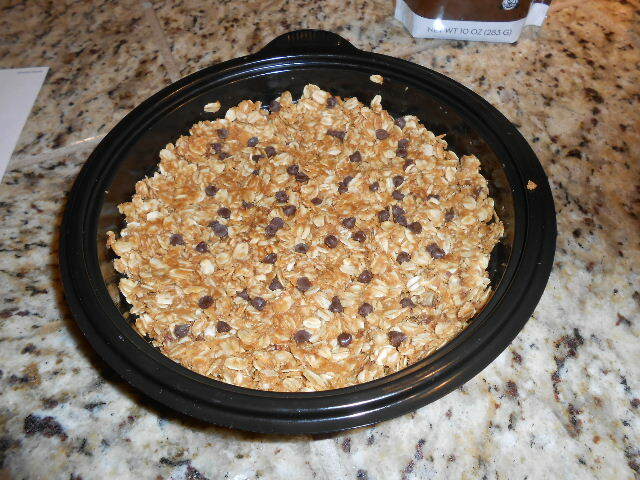 Mix in 1 TB of chocolate chips. 7. Spoon the mixture into your oiled baking dish. Flatten with a spoon so it is evenly spread. 8. 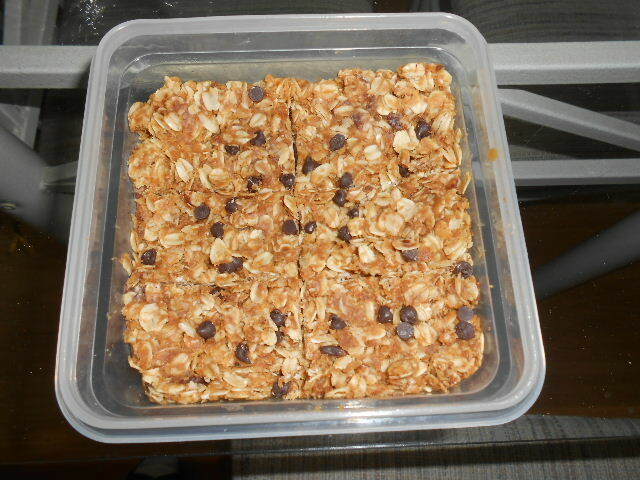 Sprinkle 1 TB of chocolate chips on the top. Press these in with the spoon. 9. Cover with plastic wrap or foil and put in the refrigerator overnight. Agave can be pretty sweet. This version uses less sweetener but still packs the same great taste. 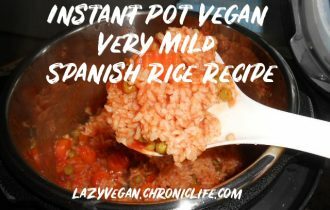 In the second version follow the same directions, but add the water while adding the oats. This is to make up for the lost moisture from less agave and to make it easier to stir. In alternative 1, the squares will be just as firm as the original recipe. In alternate 2, the squares will be a little crumbly but taste just as good. 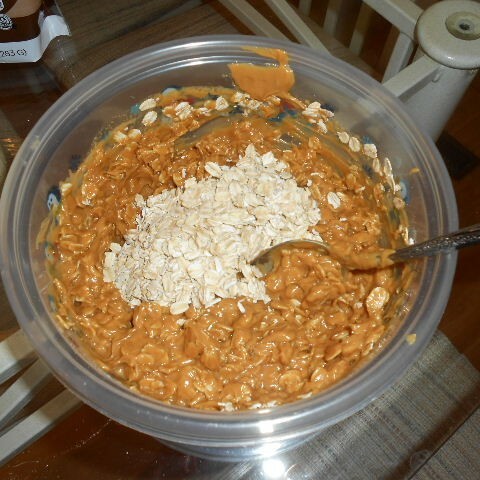 Use two measuring cups or measure the oats first and put aside. Measure the agave before the peanut butter. 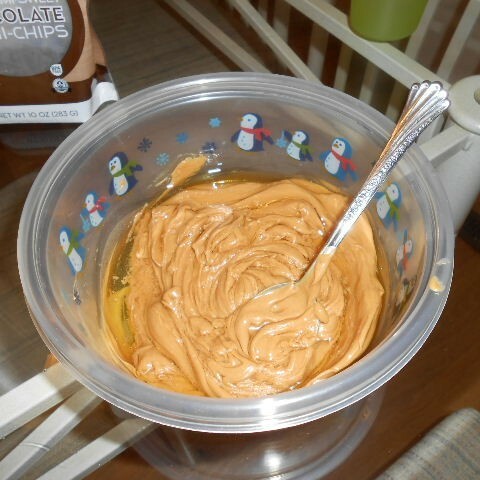 Once you put the peanut butter in the measuring cup it’s difficult to use it for anything else. 2/3 cup of agave equals 1 cup of honey or 1 cup of brown rice syrup. Agave is sweeter than honey and has more water content. When you mix in the chocolate chips, they will melt. If you’d like them more solid, let the mixture cool a little before adding. I admit that I made a mess in the kitchen. I think I got peanut butter on everything I touched and I managed to drip agave in the spoon drawer. Preparation took me a little longer than the 10 minutes suggested in other recipes. The arthritis in my hands slowed things down a bit. The Peanut Butter Squares Turned Out Great! I tested a little of the batter and liked it. That’s always a good sign. 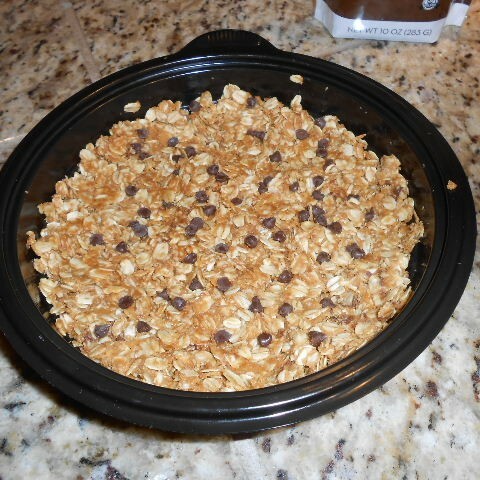 It reminded me of my granola recipe, which is interesting since that doesn’t have peanut butter. I chilled them overnight and cut them in the morning. I was afraid they might be too stiff because I cut the agave, but they were just the right texture–nice and gooey. They have a rich peanut butter taste with a hint of chocolate. They are delicious, if I do say so myself! 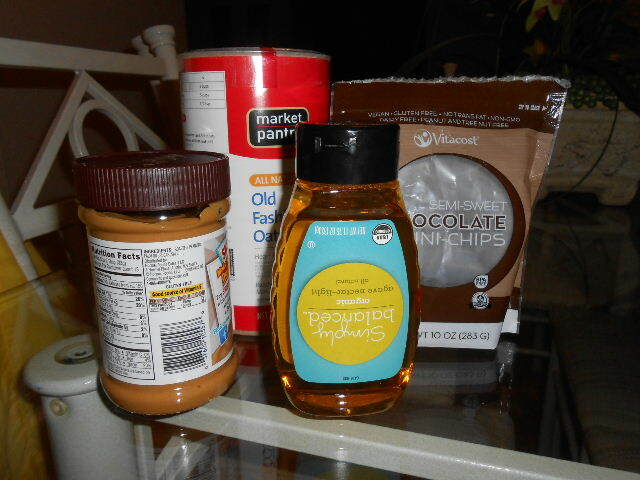 So, I gave my sister the smaller container, but don’t my vegan peanut butter squares look delicious? Give it a try and let me know what you think. I bet you’ll have half the mess I had. If you make the less sweet version or use a different sweetener, tell me about your results in the comments. 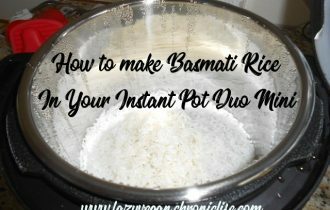 I hope you like this very easy recipe! Susan, they are really delicious. 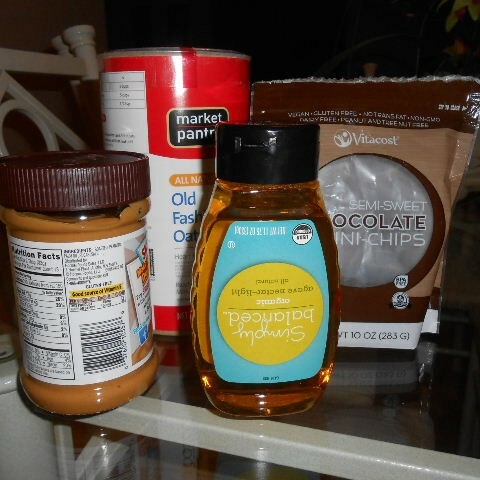 If you love peanut butter, you’ll love these. What is Agave Nectar? I have never heard of it before. Where can one find it? 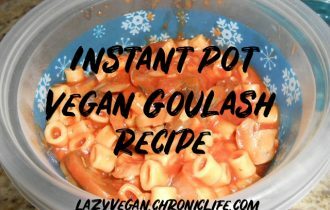 Your recipe sounds yummy and easy to make. Sandy, thanks for your question. Agave Nectar is a plant based sweetener. It comes in liquid and granule form (like sugar). They sell it at Target as well as stores like Trader Joes and Whole Foods. 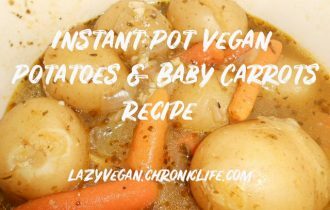 These look so delicious and sooo easy! Mary, they really are! With my arthritis, I am always looking for easy recipes. This certainly fits the bill.